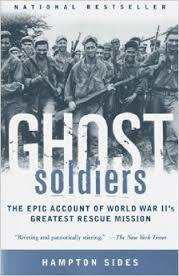 Ghost Soldiers by Hampton Sides was a really good book with the subtitle The Epic Account of World War II's Greatest Rescue Mission. Sides is a writer who came across from the 2013 Outside Magazine piece "Wake-Up Call: Surviving an Attack by Flesh-Eating Bacteria" and who then wrote the book In the Kingdom of Ice which I enjoyed quite a bit. Ghost Soldiers chronicles the fate of several hundred Allied Prisoners of War on the Philippines and while the heroism and selflessness written about was remarkable, also astounding was the cruelty of the Japanese soldiers. The largely inhumane treatment of Allied POWs likely stemmed from the official negative view of capture held by the Japanese, with Sides writing that "armies of Western Nations fighting in World War II typically saw a ratio of four soldiers captured to every soldier killed on the battlefield. In the Japanese Army, the ratio was one soldier captured for every 120 deaths." Sides went on to write in relation to the treatment of POWs that "the death rate of all Allied POWs held in German and Italian camps was approximately 4%. In Japanese-run camps, the death rate was 27%." It was a story told well by Sides and important reading especially for someone not familiar with the atrocities, sacrifice and heroism of the war. Three different pieces of business writing that struck me as interesting recently included an important look at medical device security and two pieces about automotive innovation. From Businessweek in November was "It’s Way Too Easy to Hack the Hospital" by Monte Reel and Jordan Robertson with a sobering look at the danger that can arise from minimal security around both medical devices and internet firewalls in hospitals. The two related pieces were from Business and Fast Company respectively with "The First Person to Hack the iPhone Built a Self-Driving Car. 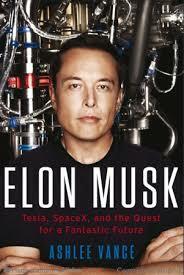 In His Garage" by Ashlee Vance and "Elon Musk Powers Up: Inside Tesla's $5B Gigafactory" by Max Chafkin. The piece by Vance is about a pretty brilliant inventor in George Hotz and for the Fast Company feature, Chafkin was apparently granted the greatest outsider access so far to the Tesla battery factory outside Reno. Natural Born Heroes by Christopher McDougall is his latest book, following on the heels of Born to Run from 2011, and I enjoyed Born to Run quite a bit and also found Natural Born Heroes to be a really interesting read. The subtitle this recent book is How a Daring Band of Misfits Mastered the Lost Secrets of Strength and Endurance and, as McDougall notes in the afterword, it blends together two stories, one of heroic action with the capture of a WWII German General on the occupied island of Crete and one of how to set oneself up physically to be useful, and potentially heroic. In terms of this idea of staying healthy and being someone who contributes, the descriptions of three things from Natural Born Heroes all tie together, a fighting art and self-defense based on fascia or connective tissue in the body, exercise that’s around natural movement of the body, and an approach towards nutrition that eschews simple carbohydrates and enables us to tap into more healthy fat reserves while exercising rather than just burning sugar. About self-defense, McDougall writes of how the body twist, or utilization of one's fascia, can be the central movement to winning a fight, with mention of Wing Chun, a martial art, practiced by Robert Downey Jr. and related to the fighting art of Pankration, centered around the idea of power spiraling up through the center of the body. Additionally in the book is the story of Norina Bentzel, who in 2001 held off someone with a machete in an elementary school, in part by bear hugging him and utilizing this idea of twist power. McDougall also notes that utilization of one's fascia works off the idea of muscle memory, teaching the body how to do a movement and that movement can then be called upon instinctively rather than through deliberate thought. This idea is mentioned as applying to something like firing a weapon and how just firing is likely going to be more effective than taking the time to aim and how in a fight, someone should throw the opponent off balance, charging when they expect a retreat and fighting dirty when they expect civility, basically treating self-defense as a survival and not spectator sport. Around exercise, McDougall, writes of Natural Movement, which came out of Georges Hebert, a French naval officer in the early 20th century and his notion of heroic action and being useful through the Natural Method of training, and relates to the sport of Parkour with an emphasis on skipping and bouncing around outside. As part of this, McDougall notes the modern day practitioner of Natural Movement Erwan Le Corre, his idea of exercise as problem solving and staying alive and his YouTube video The Workout the World Forgot. The last area McDougall covers in Natural Born Heroes is nutrition, with details on Dr. Phil Maffetone and the problem of processed carbohydrates, typically high in sugar, and how high fat foods and other staples of the Paleo Diet are much better for the body. - Bad foods: pizza, juice, rice, bread, granola, cereal, beer, soy, fruit, beans, pasta, milk, yogurt. - Good foods: meat, fish, eggs, avocados, vegetables and nuts (such as cashews), cheese. McDougall notes how Maffetone prescribes a two week test of a changed diet and how we can in fact alter the body so it craves the food we've hunted and gathered, not processed foods and also mentioned in the book is that drinking too much water, especially during strenuous exercise, can actually be dangerous as diluting the blood sodium concentration can lead to brain swelling. Tying this idea of nutrition back to exercise, Maffetone’s notion is to get your body to burn fat, not sugar, and to accomplish this, one keep the heart rate low (goal should be should be at age subtracted from 180) when exercising as if the body strains, it will dip into using sugar stored up. It can take the body some time to get used to having the heart rate low and workouts will be slow at first, but this idea of long, lower-impact training should lead to a higher level of fitness. There was definitely a lot of material covered in the book and while I probably found the story in Born to Run more compelling, Natural Born Heroes was an excellent read with interesting ideas to consider. Three different pieces of writing I've seen over the past few weeks grouped together as being very profound and well written. The two stories most closely related with both about reaction to a tragedy are each short pieces, with one for the National Post in Canada and one a book excerpt from a former staffer in the Barack Obama White House. The Post story is "'If a star fell each time we thought of her, the sky would be empty': A Christmas lights tribute to dead teen" by Joe O'Connor about how a couple honors their daughter and the other piece "What the President secretly did at Sandy Hook Elementary School" for the site Vox Populi. Taken from the Joshua Dubois book The President’s Devotional, it covers the President meeting one after the other families of Sandy Hook victims two days after the mass shooting. The third piece to note here is for The Atlantic with Hanna Rosin (who wrote "The Overprotected Kid" for the same magazine last year) with "The Silicon Valley Suicides: Why are so many kids with bright prospects killing themselves in Palo Alto?" It's an important story from Rosin that reads as being really thoroughly reported and very inquisitively written. There's been a number of excellent pieces I've seen over the past couple of months around the craft of writing, including ones on becoming a writer, the process of creating, and how to pitch stories. In terms of becoming a writer, there were two great pieces from The New Yorker I've seen recently, with George Saunders doing "My Writing Education: a Timeline" and Haruki Murakami from 2008 providing "The Running Novelist." Both are compelling first-person pieces about starting out in writing and Murakami's missive brought to mind his great memoir What I Talk About When I Talk About Running, which I previously posted on. The pieces about creating to note here were actually each transcripts of speeches given, with Chris Jones for the annual Power of Storytelling conference in Bucharest doing "Nine Rules for Creative Work" and Kevin Van Valkenburg providing "Why Storytelling Matters" from his role as a visiting professor at the University of Montana Journalism School. There's great material in each talk and Van Valkenburg's address carried the additional heft of also being about his late friend from school, Anthony Pollner. Also on the craft of writing, specifically on how to have it be a viable work endeavor, was "How do you pitch a freelance story to a site or a magazine?" Written by Jason Fagone, it's a short and seemingly very solid guide from an excellent freelance writer. There was really an amazing story in the latest ESPN The Magazine with Eli Saslow writing "Why Him? Why Me?" on a recent death during a Louisiana high school football game, and how that horrific event linked to another football calamity from 1989. The player who died in September of this year was Tyrell Cameron, a 16-year-old from Franklin Parrish High School of who broke his neck after a clean block from Cody Seward on the Sterlington High team. The story of the two is gut-wrenchingly told by Saslow and also brings in Brad Gaines, someone who could relate to the anguish faced by Seward as Gaines while playing for Vanderbilt decades ago was in a collision with Ole Miss player Chucky Mullins where Mullins went helmet-first into the back of Gaines as was paralyzed, with those injuries then leading to a blood clot two years later that took his life. The rolling together of the story about Cameron dying, the grief of his mother, the pain felt by Seward and attempt by Gaines to help him move forward is beautifully done by Saslow, someone who I've previously posted on great work by him for both ESPN and the Washington Post. Pitching Around Fidel by S.L. Price was an interesting book from 2000 with the subtitle A Journey Into the Heart of Cuban Sports. Price is a writer who I've posted on a number of times, both from pieces he's written for Sports Illustrated and two other books of his that I enjoyed a great deal, Heart of the Game: Life, Death, and Mercy in Minor League America and Far Afield: A Sportswriting Odyssey. Price is currently writing a book that will be a much expanded version of his 2011 SI story "The Heart Of Football Beats In Aliquippa" on the small Pennsylvania town and while I had heard of Pitching Around Fidel, what compelled me to read this now 15 year old book was Price on a podcast discussing how sports can very much be a lens into society. 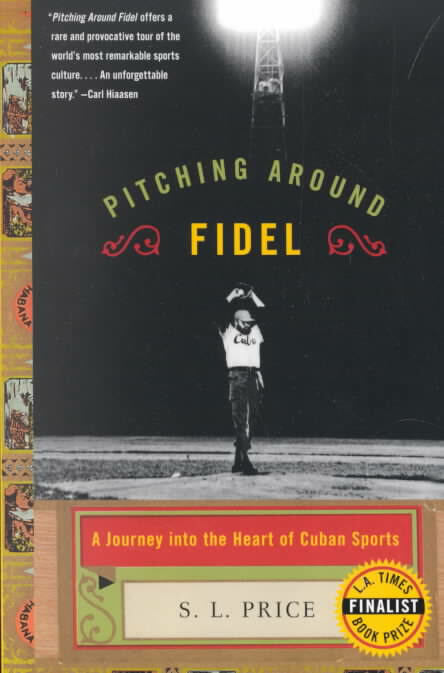 Pitching Around Fidel was both a travelogue of Price's time in Cuba and detailed such interesting lives the athletes in Cuba led, both adored and often penniless. The concept of amateurism championed by Fidel was an interesting one and people were rewarded based on their athletic successes, but oftentimes in an arbitrary manner and punished for haphazard reasons, like the regime fearing someone would defect and taking away their ability to compete in a sport, effectively making them more likely to want to defect. Price chronicled his interactions with a number of people in Cuba and two that compelling me to research what they're doing now are baseball player Yasser Gomez and U.S. fugitive Charles Hill. One thought that I had from reading the book was that at least at the time the book was written, if sports about money in the U.S., it was about life in Cuba. Also, apart from sports, it was fascinating reading of the sense of desperation many had and made me curious whether it better or worse there now. A fascinating book from Price and I'm looking forward to reading the forthcoming one on Aliquippa. There were a few really good pieces of sports writing to note here that I've seen over the past few weeks, including two features from Sports Illustrated and two from ESPN The Magazine. The first SI piece to mention was by Greg Bishop with "Who is Aaron Rodgers? The many sides of the NFL's best quarterback" and second from Lee Jenkins with "Happy and Healthy: Chris Bosh values life after near-death experience." Both stories have very solid writing and the one from Jenkins the more profound of the two as it details how Bosh of the Miami Heat had blood clots on his lungs, likely from a calf contusion months earlier. The two ESPN stories had a similar mix with both excellent, and one particularly meaningful. On Oakland Raiders owner Mark Davis, Tim Keown wrote the entertaining "Just live up to your dad's name and solve the NFL's L.A. problem, baby!" and Elizabeth Merrill provided "Dreams of a Father." The latter was about two women who as infants lost their mother, Karen Culver, and father, NFL running back Rodney Culver, in the 1996 ValuJet crash in the Florida Everglades and just a beautifully written piece from Merrill. 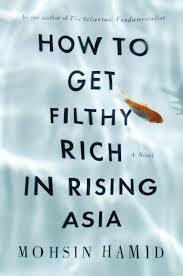 How to Get Filthy Rich in Rising Asia by Mohsin Hamid was a novel that traces through someone's life born into third-world poverty. The book is nominally about business and making a living, and includes the quote "to become filthy rich in rising Asia, sooner or later you must work for yourself," but is also very much about someone making a life and doing what they can born into brutal circumstances. As part of that, Hamid's work seems to cover that while we can influence many things in our lives, it's also often more a case of things happen to us and then we have to respond. Two nonfiction authors that came to mind for me from reading Hamid's novel were John Gardner and Katherine Boo, with Gardner writing of someone building their life in a speech I posted on years ago and Boo doing the sensational Behind the Beautiful Forevers, a book that I read and wrote about in 2013 and which features the subtitle Life, Death, and Hope in a Mumbai Undercity. And she comes to you, and she does not speak, and the others do not notice her, and she takes your hand, and you ready yourself to die, eyes open, aware this is all an illusion, a last aroma cast up by the chemical stew that is your brain, which will soon cease to function, and there will be nothing, and you are ready, ready to die well, ready to die like a man, like a woman, like a human, for despite all else you have loved, you have loved your father and your mother and your brother and your sister and your son and yes, your ex-wife, and you have loved the pretty girl, you have been beyond yourself, and so you have courage, and you have dignity, and you have calmness and in the face of terror, and awe, and the pretty girl holds your hand, and you contain her, and this book, and me writing it, and I too contain you, who may not yet even be born, you inside me inside you, though not in a creepy way, and so may you, may I, may we, so may all of us confront the end. 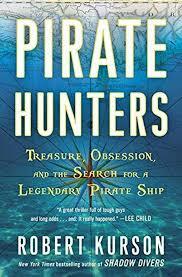 Pirate Hunters by Robert Kurson was a really entertaining book about accomplished scuba diving deep sea explorers and the search for a sunken pirate ship, the Golden Fleece, a vessel helmed by pirate Joseph Bannister during the golden age of piracy between 1650 and 1720. Only one pirate shipwreck had been previously discovered and the book was very history-focused with divers John Chatterton and John Mattera trying to figure out Bannister in order to discern where he may have taken his ship and it was ultimately sunk. Chatterton was featured in Kurson's book Shadow Divers and he and Mattera were told about the Fleece by legendary treasure hunter Tracy Bowden. The deal that Bowden made is he'd give the two men 20% of the Fleece if they found it for him and Kurson repeatedly wrote, though, of how for the two searchers, it was more about the quest for discovery than riches. The stories of both Chatterton and Mattera are remarkable, with Chatterton volunteering to serve as a medic in Vietnam and who led patrols there and Mattera growing up around the New York mafia and then becoming a cop, contractor for the U.S. government and then executive & celebrity bodyguard. Kurson also recounted how while searching for the Fleece, twice the men faced potential death twice from armed bandits in the Dominican. While the book was excellent overall, the ending with litigation rearing it's head felt somewhat disappointing, more a function, though, of how true stories sometimes go than anything Kurson should have done different in the writing. Related to a post I did back in 2011 titled "Waiting on Writing: Good Authors - Good Books," I wanted to list out the current writers whose work I most look for. Voices in the Ocean by Susan Casey was a solid book on how we as a people treat the environment, animals in it and specifically as the subject of this book, dolphins. I was excited for the book after loving Casey's previous books, The Devil's Teeth and The Wave, which I wrote about in 2010, and this one was well-written and interesting, but also depressing. Casey covers how dolphins are incredibly smart creatures, but oftentimes are either treated poorly for our amusement in places like traditional marine parks, subject to the effects of sonar tests conducted by the U.S. Navy, or slaughtered by people to make a few dollars, even to the point of basically putting a ransom on their heads. From places like the town of Taiji, Japan, where The Cove was set, to the Solomon Islands off Australia, Casey shows the atrocities people will commit against dolphins. 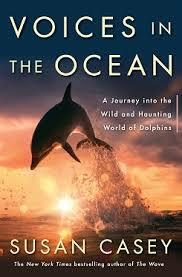 Casey writes a really thorough book that's as appreciation of dolphins, and also lament for them. There's been some really interesting business writing lately to note here, including several company profiles as well as pieces around the topic of the work people put into their jobs. The first company profile to mention was for The Verge by Ben Popper with "The Changeup: How baseball’s tech team built the future of television," a fascinating piece on Major League Baseball Advanced Media. The company (known also as BAM) started out as MLB's technology division and has since done extensive work for HBO, just signed a technology and rights holder deal with the NHL, and is almost certain to spin off from MLB into it's own company. Another profile I found excellent was "Decoding Tesla's Secret Formula" by Jeff Dyer and Hal Gregersen for Forbes Magazine. The company a fascinating one to me and as with other piece I've read on Tesla, this story paints a picture of the cars as remarkable feats of engineering. Additionally of interest recently was another solid company profile, "Inside Amazon: Wrestling Big Ideas in a Bruising Workplace," one that has in the past week generated a huge amount of discussion. For the New York Times by Jodi Kantor and David Streitfeld, the piece has the subtitle "The company is conducting an experiment in how far it can push white-collar workers to get them to achieve it's ever-expanding ambitions." I found it to be a well-balanced story and part of me reads it and thinks that it fine for people to be pushed so hard if those employees feel the positives outweigh the negatives from the hours and pressure. However, the larger part of me then thinks of how unsustainable it seems to have a large company made up of people either young enough to not have family to go to after work or older people willing to spend so much time in pursuit of work goals and away from family. It just feels like that abandonment of balance is eventually going have a detrimental impact on one's work. Granted, those people can then be forced out when their work suffers, but it's a cycle that it seems would eventually hit it's limits and negatively impact the company. A couple of other pieces that the Amazon story inspired and which I found interesting were "Jeff Bezos and the Amazon Way," a column by Joe Nocera for the New York Times and "Work Hard, Live Well," published to Medium by Facebook co-founder Dustin Moskovitz. The Nocera commentary is about Amazon following the lead of Bezos and that from Moskovitz on the negatives, to both employees and the company itself, that can come from too many hours put into work. Related to the idea of how someone goes about their job, there was a great career advice post to his blog done last month by entrepreneur and angel investor Jason Calacanis. "The most important piece of advice for folks starting their careers" contains a number of interesting and highly relevant suggestions. To say it's simply a counter-argument to the idea of balance in work and life would be to miss many of the ideas Calacanis puts forth, but a theme throughout his post is about hustle and how to succeed especially when starting out in something, you gotta hustle. Some fairly recent sports writing to note here included ones were about heartwarming and amazing stories as well as two pieces that very much brought to mind past writing I've posted on. Buzz Bissinger for Sports Illustrated had an excerpt from the 25th anniversary edition of Friday Night Lights, a fantastic book that spawned a movie, television series and follow-up ebook that I wrote about two years ago. Also from SI was the Mark Beech feature "Catching up with the dogs of Sochi," about dogs rescued out of the Russia Olympics by people including snowboarder Lindsey Jacobellis, hockey players David Backes and Kelli Stack and slopestyle skier Gus Kenworthy. Another recent piece that reminded me of past writing on the topic was "Lizzie" by Elena Delle Donne for The Players Tribune. Delle Donne is someone I last wrote about two years ago and the story of she, her sister, and rest of their family is a remarkable one. Also involving a sibling was the absolutely wild piece "Officer back on the streets, with a story to tell" by Gregg Doyel for the Indianapolis Star. About Indianapolis-area police office Marty Dulworth, it's an amazing story told very well by Doyel. 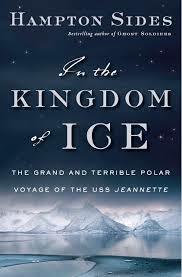 In the Kingdom of Ice by Hampton Sides was an excellent adventure yarn with the subtitle The Grand and Terrible Polar Voyage of the USS Jeannette. Sides is an author who I first learned about from his 2013 Outside Magazine piece "Wake-Up Call: Surviving an Attack by Flesh-Eating Bacteria" and in his book on the Jeanette and her men getting trapped in the ice north of Siberia, he wrote a fascinating tale. I'm definitely glad to have read the book and additional information can be found in this Wall Street Journal book review by Howard Schneider. There's been some remarkable writing for the the New York Times I've seen over the past few weeks, including four recently done stories and one from 2012 that I not long ago saw linked to on Twitter. The first story to note here was written by Gareth Cook with "The Singular Mind of Terry Tao," an interesting account of a math genius who also happens to be very normal and grounded. The three other recent Times pieces share the common bond of being about people doing great things for others. "Nicolas Winton, Rescuer of 669 Children from Holocaust, Dies at 106" was an obituary written by Robert McFadden, "Black South Carolina Trooper Explains Why He Helped a White Supremacist" a piece by Robert Dove and for the New York Times Magazine was "You Just Got Out of Prison.Now What" by Jon Mooallem. This last piece has the subtitle "Carlos and Ruby are two ex-convicts with a simple mission: picking up inmates on the day they're released from prison and guiding them through a changed world" and is just a very cool read. The last piece to mention was by Eric Weiner from 2012 with "Where Heaven and Earth Come Closer," a piece about "thin places," those that as Weiner writes "transform us - or, more accurately, unmask us. In thin places, we become our more essential selves." Some really solid business stories over the past several months included a profile from Fortune Magazine and three different features from Bloomberg Businessweek. The Fortune piece was by Adam Lashinsky with "The redemption of Oracle's Mark Hurd" and the Businessweek stories covered a lot of ground with one a magazine issue-length look at code, one a piece on painting and drinking for fun and one about an extremely expensive, and effective, treatment for hepatitis C.
"Gilead Sciences of Foster City, Calif., introduced Harvoni, which completely cures the vast majority of people with the most common type of hepatitis C and does it in just three months with few significant side effects. Gilead charges $94,500 for the 12-week treatment." 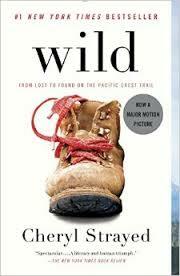 Wild by Cheryl Strayed was a memoir of Strayed's life and her 1,100 mile hike on the Pacific Coast Trail and the book struck me as excellent for both the quality of writing and content it covers. Her mother died when Strayed was 22 and then at 26, and coming off a failed marriage and time on heroin, she embarked on hiking the trail. Even if someone may not have their life situation match up with that of Strayed's, the book is lyrically written and tremendously interesting from the perspective of someone overcoming obstacles in addition to simply a great piece of outdoor writing. Also, I found fascinating how the movie (which I saw prior to reading the book) was also really good, and very true to Strayed's writing in the book. There was a series of great pieces over the past few weeks on the Golden State Warriors and their championship-winning team and players. Lee Jenkins wrote a number of them for Sports Illustrated with the June 8th issue having "Oracle Arena brings the noise for an NBA Finals worth screaming about," "Steve Kerr: The Warriors' Ringmaster" for the June 15th and "Andre and the Giant: How one veteran helped the Warriors turn the Finals" published in the June 22nd issue. Additionally, Jenkins for the SI website wrote "Golden Hours: Inside the Warriors' nightlong NBA Finals celebration" after the series-clinching win over the Cavilers. Also, two great pieces to note here from other writers were "Pursuit of perfection: Jerry West's fire burns as deep as ever with Warriors" by Chris Ballard for the SI site prior to the Finals and then after they were over, Joe Posnanski doing "The Right Steph" for the NBC Sports website. It's a bit of a laundry list of pieces, but some great writing from Jenkins, Ballard and Posnanski on the Warriors. 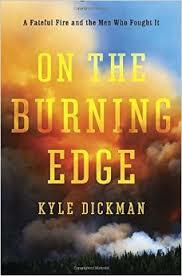 On the Burning Edge by Kyle Dickman was a good book about the profession of firefighting and 2013 tragedy on the Yarnell Hill Fire where 19 hotshots lost their lives outside Prescott, AZ. Shortly after the deaths I did the post "Writing on Hotshot firefighters - by Kyle Dickman & Molly Hennessy-Fiske" linking to a few different pieces and then several months later Dickman wrote "19: The True Story of the Yarnell Hill Fire" for Outside Magazine, a feature which then led to him writing On the Burning Edge. The book struck me as extensively reported and about people, circumstances and decisions. Dickman covers how fires are good in thinning out forests, but the drive to protect homes has led to a policy of fire suppression and increased the chances of cataclysmic blazes when they're not put out early. Additionally noted in the book is that few communities require defensible space around houses. The 19 who died in the Yarnell Hill Fire were all part of the Granite Mountain Hotshots and it was interesting reading how they were a municipal hotshot team rather than forest service, and any role that may have played in Granite Mountain superintendent Eric Marsh being aggressive during the fire and leading the other 18 from a position of already burned over safety and attempting to move to a new location. Additionally noted by Dickman was some confusion and poor communication around the fighting of the Yarnell Hill Fire as it grew larger and more resources arrived to battle it. The result of the fire left behind only one member of the Granite Mountain team, Brendan "Donut" McDonough who was serving as a looking apart from the rest, and two other hotshots who left Granite Mountain in the weeks prior due to medical and family reasons. It was a solid book from Dickman and included poignant description of people paying their respects roadside as the 19 men first were transported to Phoenix after their deaths and then back to Prescott two days later. 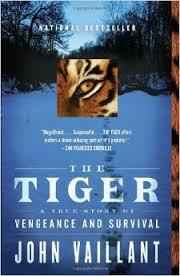 The Tiger by John Vaillant was a really good work of non-fiction about a man-eating Amur (Siberian) tiger in the Bikin River Valley in Far Eastern Russia in the Winter of 1997. The book was just as much about the region as about the tiger itself and it was fascinating reading how many in the area forced to scratch out an existence living off the deep forest or taiga, with the effects of perestroika and it's freedoms not helping them at all. In relation to tigers, Vaillant describes well the relationships between people and the animals and how they can co-exist, but also how the actions of people often throw that relationship out of balance. 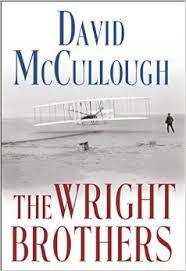 It was an excellent book and more about it can be found in a New York Times review by Edward Lewine. A few pieces of recent writing on different subjects have struck me as particularly powerful. On grief was a Facebook post by Sheryl Sandberg written 30 days after her husband Dave Goldberg died and for the Washington Post, Juliet Eilperin wrote "What it was like to cover Beau Biden’s funeral" about her experience as a White House pool reporter. The Sandberg piece obviously more personal, but both really profound. About the recent murder of nine in a Charleston, SC church were two pieces, one written and one for TV, with similar refrains. For Esquire, Charles Pierce wrote the incredibly good "Charleston Shooting: Speaking the Unspeakable, Thinking the Unthinkable" and there's six amazing minutes from Jon Stewart with this link containing both the Daily Show video and a few sentences out of him talking. In another totally different category was writing on the recent Pope Francis document around climate change with another Charles Pierce piece for Esquire titled "Pope Francis Drops the Hammer on Climate Change" and Bill McKibben for the New York Review of Books writing "Pope Francis: The Cry of the Earth," with both pieces about just how influential this document from the Pope could be. Elon Musk by Ashlee Vance was a well-written and really interesting biography on someone with a combination of brilliance, drive for himself and employees, and willingness to bet big. Musk's grandfather was Joshua Norman Haldeman, who in 1950 decided to emigrate from Canada to South Africa, then along with Musk's grandmother in 1954 flew a private plane from Africa to Australia, believed to be the only private pilots to have done this. They also did bush expeditions in Africa and one of their children was Maye, who married Errol Musk, with one of their offspring Elon, born in 1971. He was a bright child who read obsessively and constantly corrected people, but with him not really understanding why they didn't like it. When Elon was around 8, his parents divorced and he went to live his father, someone described in the book as an intense and unpleasant man. When Musk was 10, he got his first computer and loved it, but around the middle school years was picked on relentlessly and had a miserable time, with things then improving in high school. At 17, Musk left South Africa for Canada and then enrolled at Queen's University in Kingston, Ontario. In 1992, he transferred to the University of Pennsylvania to pursue degrees in economics and physics and Musk today talks about then being interested in solar energy. In 1994, Musk and his brother Kimbal took a road trip to California and Musk had internships in Silicon Valley at Pinnacle Research Institute and Rocket Science Games and after graduating Penn, he and Kimbal moved to Silicon Valley. In 1995 they formed the company that would become Zip2, a web-based Yellow Pages type service, with it purchased by Compaq in 1999 for $307M, leaving Musk with $22M. Also in 1999, Musk used $12M of his money to found X.com, a finance startup that would become PayPal. In 2000, Musk was pushed out of the leadership of the company by employees and investors and in 2002, PayPal was sold to eBay for $1.5B, with Musk getting $250M. In 2001, Elon became actively involved in space exploration, developing contacts in the industry and founding the Life to Mars Foundation. Musk tried to buy rockets from the Russians to explore space but got nowhere, then decided to build his own. The idea would be to build rockets that would serve the low end of the satellite industry, doing launches cheaper than had been done, with Space Exploration Technologies founded by Musk in June 2002. The first successful SpaceX rocket launch was in September 2008, but not with an actual customer payload onboard and the survival of the company was uncertain until it in December 2008 received a $1.6B payment from NASA to take supplies to the International Space Station. SpaceX has now become a truly solid company, selling satellite launches for less than competitors, and doing so as an American company in a largely non-American industry. In May 2012, SpaceX docked with the ISS for the first time and SpaceX wants to next send astronauts to the ISS by 2017 as well as move to reusable rockets. a first in the industry and idea that many view as impossible. Another interesting thing noted in the book about SpaceX is how it's a privately held company and Musk wants to keep it that way for a while, something that makes sense in enabling freedom of decisions, but would of course limit the huge paydays that employees of a publicly traded SpaceX might receive from selling stock. As SpaceX was in it's early years, Musk in 2003 met J.B. Straubel, someone who shared Musk's interest in electric cars. Shortly after, Musk was courted as an investor by Martin Eberhard and Marc Tarpenning, who had an electric car company, Tesla Motors. Musk in 2004 put in $6.5M and became the largest shareholder as well as Chairman and also got Straubel hired. In 2007, Eberhard was taken out as CEO by investors and replaced by an interim chief who wanted to sell Tesla, with this not taking place and Musk later becoming CEO. In late 2008, Tesla was having financial problems at the same time as SpaceX and even though the financial markets had imploded, Musk was able to secure additional financing for the company. Tesla then was selling just enough roadsters to survive, previewed the Model S in 2009, went public in 2010 and then began shipping the Model S in mid-2012. In November of that year, the sedan was named Motor Trend's Car of the Year and in early 2013, Consumer Reports gave it their highest rating ever awarded. In April 2013, Tesla was having difficulty delivering Model S's and had discussions with Google CEO Larry Page about Tesla being acquired. Then in May 2013, impressive results were given to Wall Street and the stock soared, making the sale not needed. Next up for Tesla is the Model X SUV in 2015 and due out in 2017 is the Model 3, a four-door car with around a $35K price tag. Musk's three companies, with two in Tesla and SpaceX that he's CEO of and SolarCity that he's the largest investor in and non-executive Chairman of, seem to be starting to intertwine somewhat with Tesla and SolarCity both to build products at the forthcoming Tesla battery Gigafactory in Reno and the success of SpaceX and Tesla coming in part from hardware and software working together. Whether it's from one of these companies and current core products or other ideas Musk has put forth more recently around the Hyperloop for transportation or a space Internet, it'll be extremely interesting to see what's to come from Musk in the future and Vance wrote a very solid book on what he's done so far. There's a few pieces of writing I've seen lately that were particularly touching and heartfelt, with each about distinct phases of life. For the Tampa Bay Times in 2007, Michael Kruse wrote "On her own two wheels," a beautiful 300-word piece about a father teaching his eight-year-old daughter to ride a bike that featured the quote "I'm supposed to let go, I can't hold on forever" and for his Monday Morning Quarterback column for Sports Illustrated, Peter King wrote of his 31-year-old daughter Laura marrying her partner Kim under the title "Happily Ever After." Also incredibly moving were two pieces in past weeks that dealt with a much different phase. Robin Marantz for the New York Times Magazine wrote "The Last Day of Her Life" on Sandy Bem, a Cornell University professor diagnosed with Alzheimer's and who wanted to die on her own terms and Ian Shapira for the Washington Post wrote the lovely story "Americans gave their lives to defeat the Nazis. The Dutch have never forgotten" about multiple generations of people in the Netherlands tending to the graves of U.S. soldiers who died during WWII. There's been some great recent outdoor-oriented writing I've seen with a feature for SB Nation Longform and several stellar pieces from the latest issue of Outside Magazine. The SB Nation piece was by Eva Holland with "Unclimbable," a first-person account of a trip to the Cirque of the Unclimables, a remote area of stunning-looking granite peaks in Canada's North Territories, and it's a really cool story of friendship, loss, adventure and acceptance. Two features from the latest Outside Magazine that stood out were "Rory Bosio Doesn't Really Train" by Nick Heil on the 29-year-old long distance (100+ miles) runner from Truckee, CA and the "The Piscivore's Dilemma" about the sustainability of fish as a food supply. It's an extensively researched and detailed report from Tim Zimmermann which covers different types of fish that can be consumed as food along with the source (i.e. farmed vs. wild) of those fish. From the same issue of Outside was "The New Adventure Library," a feature not currently available online, which briefly overviewed 33 different tales of adventure. With the forms ranging from books to movies to daredevil adventures, there were featured things I've seen and loved as well as not previously aware of, but now wanting to check out. Some of the pieces are from a week or two ago, but there's been some really interesting business writing that I haven't posted on up until now. From Businessweek were two excellent features, starting off with "Elon Musk's Space Dream Almost Killed Tesla," excerpted from the recently released Ashlee Vance book Elon Musk: Tesla, SpaceX, and the Quest for a Fantastic Future. It's a fascinating look at the Tesla and Space X CEO and related to Tesla were two additional interesting pieces, first a transcript of Musk's speech introducing Tesla Energy and then San Jose Mercury News article "Is Tesla's Powerwall home battery worth the price?" by Jonathan Fahey. The other Businessweek story to note here was "A Pinot Noir: Hunting the Thieves Behind a Rash of Six-Figure Wine Heists" by Claire Suddath, a highly interesting read which brought to mind the Max Potter book Shadows in the Vineyard: The True Story of the Plot to Poison the World's Greatest Wine. The other two pieces of really interesting recent business writing to mention were from other sources with Alex French and Howie Kahn for Wired writing "Inside the Magic Factory: The Untold Story of ILM, a Titan That Forever Changed Film," an oral history of the George Lucas created Industrial Light & Magic, and Adam Bluestein for Fast Company writing "Meet Ebola's Soft-Spoken, Plant-Loving Arch Nemisis" on Dr. Charles Arntzen, who came in at number one on the Fast Company "100 Most Creative People 2015" list. "In 2010, the Institute of Medicine issued a report stating that waste accounted for thirty per cent of health-care spending, or some seven hundred and fifty billion dollars a year, which was more than our nation’s entire budget for K-12 education. The report found that higher prices, administrative expenses, and fraud accounted for almost half of this waste. Bigger than any of those, however, was the amount spent on unnecessary health-care services." The reasons for the waste, or no-value care as Gawande describes it, include tests and treatments both unethical recommended (with providers trying to collect all available insurance and Medicare dollars) and simply not needed, often as a result of there being so many tests and treatment paths available. What occurs is doctors, with patients buy-in, often test for problems that really aren't likely to have a terrible result if the problem found in someone, and then treat the problem because it's been discovered. The issue from this is the care costs money for someone, whether an individual paying out of pocket, an insurer (who as a result may raise rates) or government. Additionally, testing can bring complications for patients, not to mention problems that can result during procedures; and treatment for a given ailment can preclude different, and perhaps more needed, treatment for the same or another ailment. "Taylor had heard about a program that Walmart had launched for employees undergoing spine, heart, or transplant procedures. Employees would have no out-of-pocket costs at all if they got the procedure at one of six chosen “centers of excellence”: the Cleveland Clinic; the Mayo Clinic; Virginia Mason Medical Center, in Washington; Scott and White Memorial Hospital, in Texas; Geisinger Medical Center, in Pennsylvania; and Mercy Hospital Springfield, in Missouri. Walmart wasn’t providing this benefit out of the goodness of its corporate heart, of course. It was hoping that employees would get better surgical results, sure, but also that the company would save money. Spine, heart, and transplant procedures are among the most expensive in medicine, running from tens of thousands to hundreds of thousands of dollars. Nationwide, we spend more money on spinal fusions, for instance, than on any other operation—thirteen billion dollars in 2011. And if there are complications the costs of the procedure go up further. The medical and disability costs can be enormous, especially if an employee is left permanently unable to return to work. These six centers had notably low complication rates and provided Walmart a fixed, package price." "Two years into the program, an unexpected pattern is emerging: the biggest savings and improvements in care are coming from avoiding procedures that shouldn't be done in the first place. Before the participating hospitals operate, their doctors conduct their own evaluation. And, according to Sally Welborn, the senior vice-president for benefits at Walmart, those doctors are finding that around thirty per cent of the spinal procedures that employees were told they needed are inappropriate. Dr. Charles Nussbaum, until recently the head of neurosurgery at Virginia Mason Medical Center, confirmed that large numbers of the patients sent to his hospital for spine surgery do not meet its criteria." "If an insurer had simply decreed Taylor’s back surgery to be unnecessary, and denied coverage, the Taylors would have been outraged. But the worst part is that he would not have got better. It isn’t enough to eliminate unnecessary care. It has to be replaced with necessary care. And that is the hidden harm: unnecessary care often crowds out necessary care, particularly when the necessary care is less remunerative. Walmart, of all places, is showing one way to take action against no-value care—rewarding the doctors and systems that do a better job and the patients who seek them out." Another thing Gawande writes of as leading to optimism for care in the future is out of a provision in the Affordable Care that "allows any group of physicians with five thousand or more Medicare patients to contract directly with the government as an 'accountable-care organization,' and to receive up to sixty per cent of any savings they produce." Gawande writes fairly extensively of McAllen, TX and how "two McAllen accountable-care organizations together managed to save Medicare a total of twenty-six million dollars. About sixty per cent of that went back to the groups. It wasn’t all profit—achieving the results had meant installing expensive data-tracking systems and hiring extra staff." It's a fascinating piece from Gawande and as he towards the end writes "waste is not just consuming a third of health-care spending; it’s costing people’s lives." There were three pieces of recent first-person writing on the subject of death that really struck a cord with me, two from Esquire and one from Glamour. The Glamour piece was the fairy short essay "My Dad, My Mentor: How Do You Say Goodbye to Your Father?" by filmmaker Erin Carr about her father, David Carr, who died in February. It was a really nice remembrance on the writer who I a few times posted on writing by and about. The first of two Esquire pieces to note here was by Tom Junod with "The Death of Patient Zero," a followup story to his 2013 "Patient Zero" on Stephanie Lee. I wrote about the original feature in this blog post and as sad as it was to read of Lee's passing, it was almost heartening to read of the friendship that Junod and Esquire Mark Warren formed with Lee and devotion they showed to her. Also, even with the awfulness of Lee dying of cancer so young is the hopeful idea that the efforts to save her put forth by Eric Schadt and his team could continue to move forward and help save others. The last piece to mention also centered around someone dying of cancer with Matthew Teague writing "The Friend" on his wife Nicole Teague, her diagnosis with terminal cancer, and his best friend Dane Faucheux moving in with them and staying past her death. The essay from Teague is quite possibly the most personal and open account I've ever seen someone write and Faucheux someone that comes across as an absolutely remarkable person. Some really good recent business stories included two features from Fast Company and one each from Vanity Fair and The Atlantic. The Fast Company pieces were by Austin Carr and Max Chafkin with the Carr piece titled "The Messy Business of Reinventing Happiness." It's a lengthy feature about the MagicBands that were introduced at Walt Disney World in Orlando (and which were written about in fairly gushing terms in a recent Wired Magazine story) and this look by Carr is a much more nuanced look at how difficult at times it can be to get things done in a corporate environment. Particularly fascinating to me was how the Imagineers responsible for much of the great creative output at Disney Parks appear to have been largely left out of the process, and as a result haven't really bought into the concept of the MagicBands. The piece by Chafkin was also a solid one with "Y Combinator President Sam Altman is Dreaming Big" about the Silicon Valley business incubator. From Vanity Fair, Bryan Burrough wrote "The Inside Story of the Civil War for the Soul of NBC News" about Brian Williams and it's very much an "inside baseball" type look at corporate dysfunction and poor talent management and the last piece to note here was "The Upwardly Mobile Barista" by Amanda Ripley for The Atlantic. Ripley is the author of the excellent book The Smartest Kids in the World (which I reviewed here) and in this recent magazine piece she writes about the corporate initiative at Starbucks to fund university education for it's employees. Ripley gives a thorough look at the hiccups in the program, but all in all, it really appears that Starbucks attempting to do a very good thing. 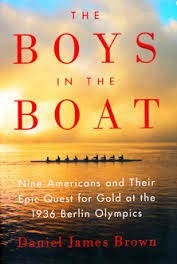 The Boys in the Boat by Daniel James Brown was a really great book about the University of Washington rowing team that went to the 1936 Berlin Olympics. Brown's writing of the story came out of a fairly chance meeting late in the life of one of the rowers, Joe Rantz, and the book a fascinating one that covers a huge amount of ground. Some of the things that struck me were around the idea of a great rowing team needing to be comprised of people with absolute trust in one another, what America was like in the 20s and 30s and then the German propaganda machine leading up to WWII. Brown chronicles in the book how as Rantz was growing up, America suffered the effects of the depression and dust bowl, leading to widespread westward migration and a number of farmers simply picking up and leaving behind homes and properties in search of something better. It was a hard time for many and the circumstances of Rantz's childhood were written of as key to what came later in the book. Additionally, Brown has fascinating material in the book about Germany leading into the Berlin Olympics, with Nazi leadership focused on presenting to the world an image of themselves as a good and peaceful neighbor, towards the goal of buying them time to secretly build up their war powers prior to launching armed aggression. This time and place in the world is really interesting to me and brings to mind the excellent Erik Larson book set prior to WWII, In the Garden of Beasts: Love, Terror, and an American Family in Hitler's Berlin that I wrote about in 2011. Shortly after finishing The Boys in the Boat, I came across an interesting San Jose Mercury News feature story in "Bay Area native’s book showcases bitter rivalry between Cal and Washington in top-selling book" and the piece by Elliott Almond and Mark Emmons covers information about Brown and how his book become an enormous success and basis of a movie now in development. There's been some particularly interesting writing from Bloomberg Businessweek magazine over the past few weeks including a great feature story and multiple smaller pieces. The feature was "Dying at Europe's Doorstep" by Brad Wieners and it's an important look at refugees from Africa dying as they try to cross the Mediterranean into Europe and the husband and wife team of Chris & Regina Catrambone attempting to rescue as many as possible. The parts of the story about many Europeans not wanting the immigrants to come there made me think of a June 2013 blog post I wrote linking to stories of xenophobic behavior and also fascinating from the Wieners piece was mention of Catrambone partnering with The World's Most Dangerous Places author Robert Young Pelton. The smaller pieces from BW that struck me over the past few weeks included two at least in part by Ashlee Vance. Along with Jack Clark, he wrote "How Amazon Swooped in to Own Cloud Services" and excerpted from Vance's May 19 book release of Elon Musk: Tesla, SpaceX, and the Quest for a Fantastic Future was "Elon Musk Had a Deal to Sell Tesla to Google in 2013." The other short piece to note here was written by Jessica Coen with "Nick Kokonas Is Selling Tickets to Dinner" about the restaurateur, who co-owns three Chicago-area restaurants with chef Grant Achatz, and his forthcoming for wide release restaurant reservation system Tock that revolves around diners prepaying for meals and flexible pricing based on time selected. Some remarkable sports pieces lately included a story on a 34-year-old NFL prospect, one on a sportscaster who spent several years of her childhood homeless, and two pieces on college basketball player Lauren Hill who recently died from cancer. The NFL story was by Peter King for Sports Illustrated with his weekly Monday Morning Quarterback featuring the story of Nate Boyer, a former Army Green Beret who then went to the University of Texas, walked on to the football team, earned a spot as the long snapper and now aspires to an NFL spot. The second piece to note here was by by Dave Reardon for the Honolulu Star-Advertiser with "HNN's Weems is hungry for life" on Francesca Weems, a 29-year-old sports media employee of Hawaii News Now who along with her older brother Marcus was homeless for several years of her childhood. It's a really cool story made all the more interesting by the mentoring and friendship that was provided by Neil Everett, current ESPN Sportscenter anchor who worked at Hawaii Pacific University when he got to know Francesca and Marcus. The final pieces to mention are about college basketball player and inspiration Lauren Hill with first a WKRC Cincinnati story on her passing the prior day that included a great 7 minute video feature and then a Fox Sports piece the day after her public memorial service. There were two amazing recent pieces about parents remembering children who died, one written about a twin who five years ago died shortly after birth, as a result of fatal problems discovered in utero, and one by a father eulogizing his 21 year-old son. The eulogy was "Remembering Max" posted to Medium by ESPN writer Ivan Maisel and the newspaper piece "Thomas Gray lived six days, but his life has lasting impact" by Michael Vitez for the Philadelphia Enquirer. Really profound writing on both Max and Thomas.